Francis Moran & Associates > Customer Service > Lessons in customer service from Kijiji and Co.
Don’t try to put lipstick on a pig: “It’s in good condition.” “Just a few scratches.” “A good project for someone handy.” In other words, it looks like it was run over by a truck. If you think a little bit of misrepresentation to get a prospect in the door is fair game, think again. If people feel they have been deceived, they will talk about you to anyone who will listen, but not in the way you want them to. Avoid mixed signals: One spouse posts an ad, but when you arrive, you find yourself dealing with the other spouse, who doesn’t agree with the price, or what’s been offered for sale. You came expecting one thing, only to be confronted with something else. Vendors do this all the time – offering promotions will details buried in the fine print that keep the ball in their court at the expense of the customer. Be simple, clear and obvious – the consumer should find what were led to expect by the big bold statements in your promotion. Don’t give the cold shoulder: Then there are those sellers who don’t reply with reasonable promptness when you respond to their ad, or don’t have the courtesy to take down an ad when the item is sold. Great customer service rests on timely, even proactive, responses. Customers should not be left feeling ignored, neglected or otherwise unworthy of your attention. Fair play is the seller’s prerogative: I’ve seen situations where a seller is holding an item for an agreed-upon period for a possible buyer who was the first to call. Perhaps the buyer has to arrange transportation, or schedule around work. Other interested parties who call next will get their noses out of joint because “we can come get it right now!” In other words, they believe the seller is obligated to sell to whoever can arrive on their doorstep first, without delay. In any situation, it is the seller’s prerogative to decide to whom they sell and when. This is of course not carte blanche to discriminate, but to conduct business in a way that is fair and honest to all parties involved, and mitigates risk to the seller’s bottom line. It’s why hotels and car rental companies require credit card validations for reservations, or why financing a purchase requires you as the buyer to prove you can handle the debt. As a vendor, you must decide on the sale and payment policies that work best for your business, ensure they are clearly stated in writing, and apply them consistently. Spelling does count: From a sign at the door announcing today’s special, to the prose for an email marketing campaign promoting Your Awesome Enterprise Tool v2.0, spelling and grammar matter because details matter. This lack of polish (especially if the errors are easily caught by spell checking software) makes your business appear sloppy and unprofessional. I won’t offer examples from the world of online classifieds, because, well, there are too damned many to chose from. 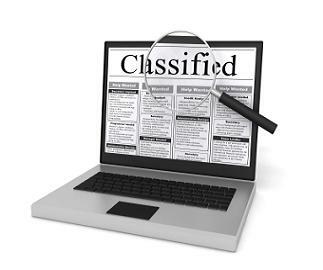 Knowledge of your product counts: Too many classifieds offer too few details for the item in question, be it size, capacity, horsepower or some other technical specification. Buyers have specific needs and interests. The more information you offer up front, the more likely you are to attract serious buyers; you will also waste less time fielding fact-finding inquiries from casual shoppers. Demonstrating the product can perform its intended function counts: I keep tropical fish and I always shake my head when I see people trying to sell empty and dry aquariums. Regardless of their most sincere assurances, I need to see that thing in operation before I will consider buying it. It’s the only way I can be certain it doesn’t leak and that the other related equipment is in good working condition. From no-obligation trials and free downloads, to running floor models, give the buyer something more tangible than just your good word. Pictures really are worth a pile of words: Small, blurry and poorly lit photos are as much a scourge of the online classifieds as bad grammar and spelling. We always emphasize giving marketing copy its due investment of time and money to yield strong results, but don’t scrimp on quality visuals either. If budget is an issue, prioritize quality over quantity. What lessons have you learned about sales, marketing and customer service from your experiences with online classifieds?